Here are some tips on how to make the ultimate cheese platter that looks beautiful and has a great balance of flavors and textures. 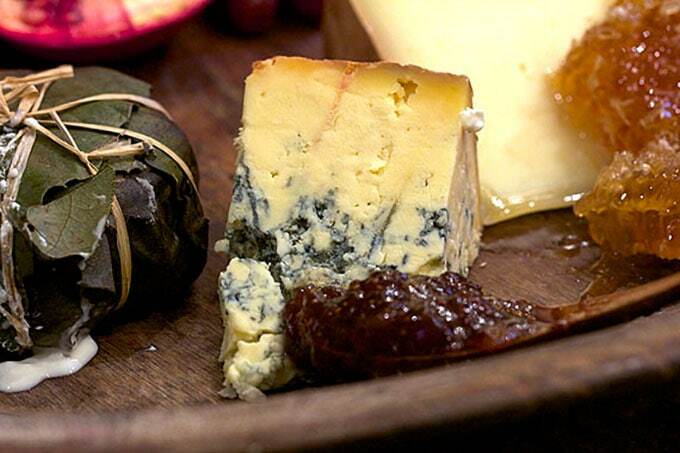 Do you agree that cheese is one of the world’s most irresistible foods? Just the sight of a soft brie or camembert, melting out of its rind, inspires passion! 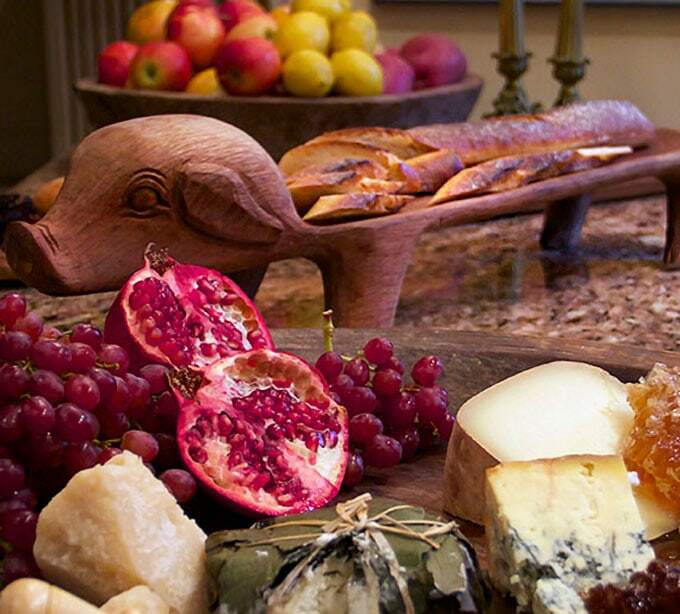 For entertaining, a fabulous cheese platter is one of the easiest, most exquisite things you can serve – so many exotic flavors, textures and aromas on one plate – something to please every palate. 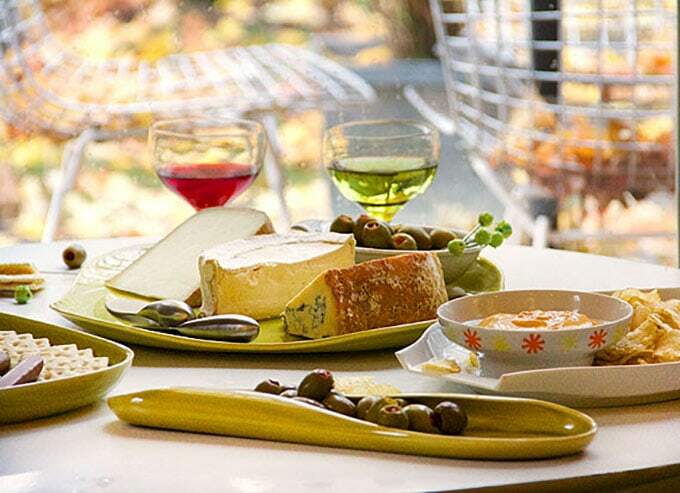 So how do you choose the cheeses for your platter? 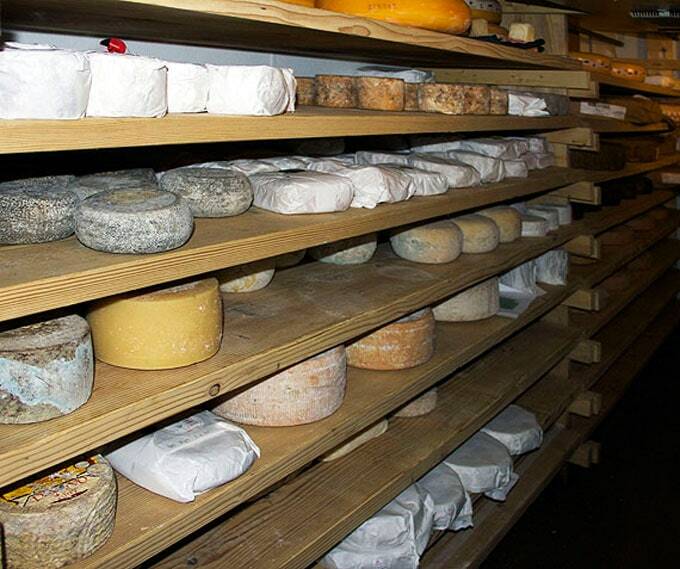 If you’re like me, you’ve been overwhelmed by a case filled with a sea of cheeses. I always enjoy reading the charming little blurbs about the farms or the animals that the cheeses came from – but I still don’t know which ones to buy. 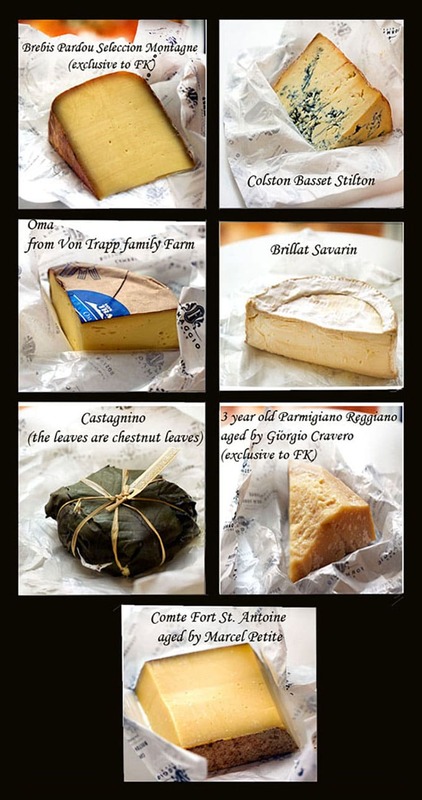 Year after year I end up with many of the same familiar cheeses – like Robiola and La Tur. They are always great, but I’ve missed out on trying what’s new or fresh or super exciting or perfectly ripe! This year I asked my favorite cheese experts at Formaggio Kitchen in Cambridge for some help putting together my ultimate cheese platter. Then I took the cheeses they recommended and enlisted the help of two creative foodie friends for styling advice. 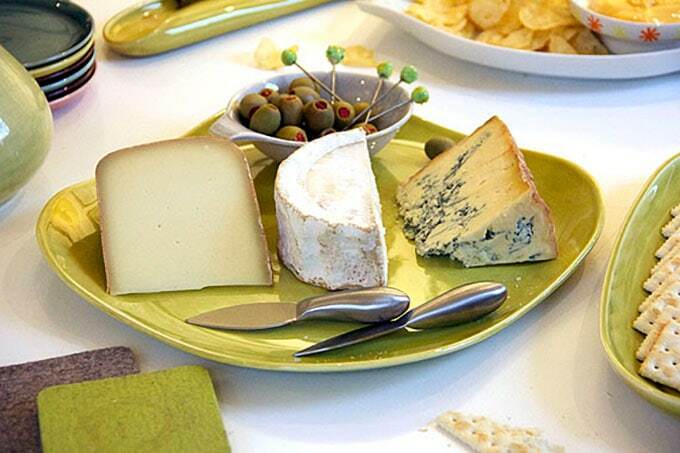 I’ll show you what they came up with to inspire you to take your cheese platter to a new level of excitement! 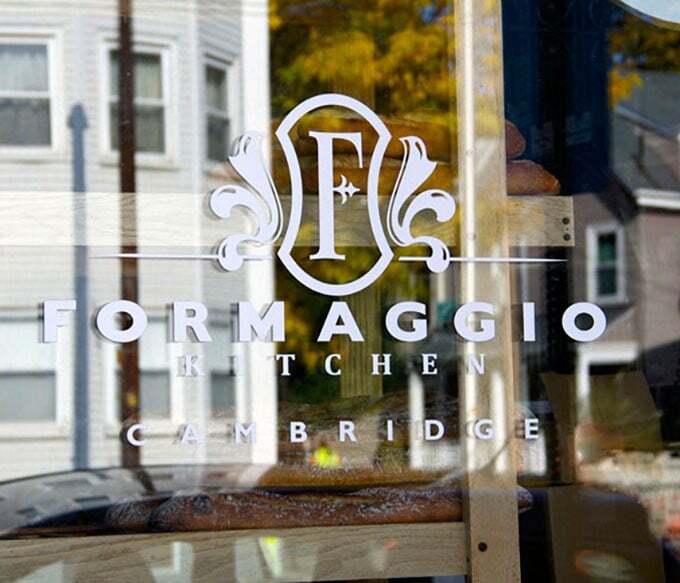 Those of you who live in the Boston area might be familiar with Formaggio Kitchen. 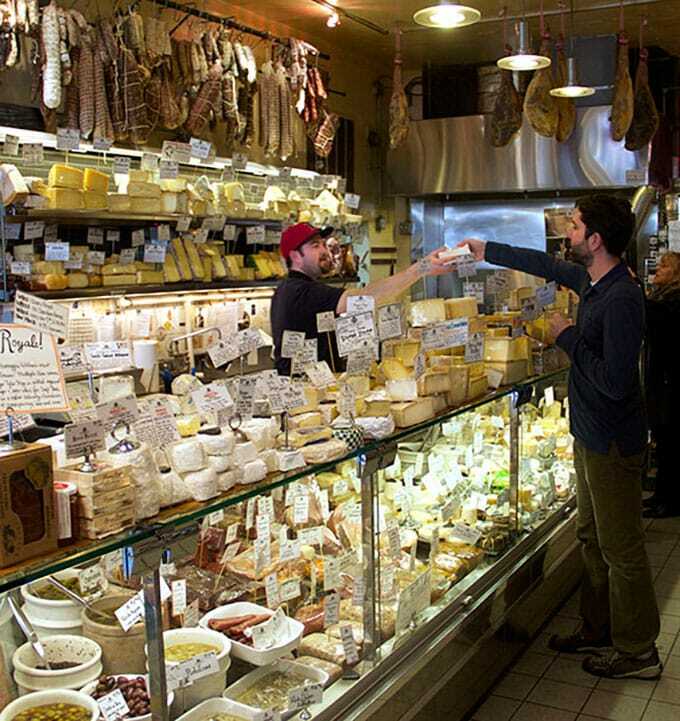 The store is a foodie’s paradise – with over 300 artisanal cheeses in their cases and lining the wall, gourmet coffee, imported specialty foods, home baked breads and desserts, award-winning house made charcuterie, fine wines, and organic produce! They have a shop on Huron Avenue in Cambridge, another in Boston’s South End and one in NYC. 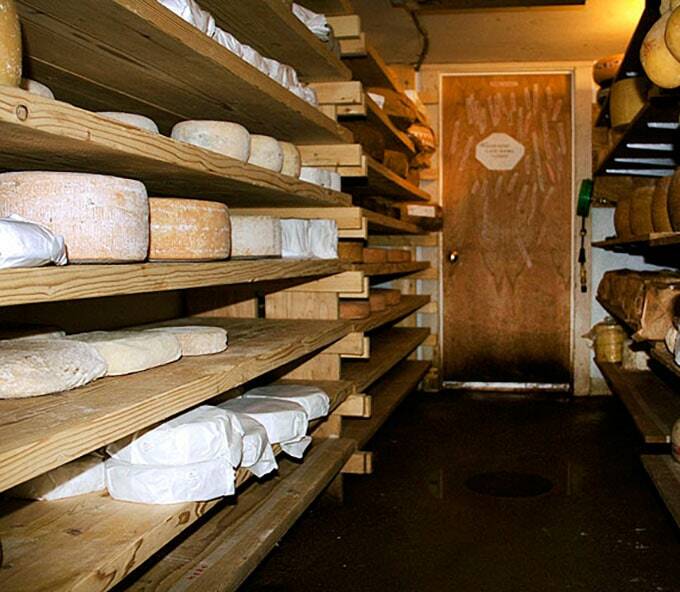 And down underground, in the basement of their Cambridge store, is their cheese cave. It’s designed to have the perfect damp, musty, and chilly climate for aging young wheels of cheese and maintaining moisture in older ones. After my tour of the cave and a few tastes of cheese and deliciously rich, freshly made rabbit pate, these seven cheeses were recommended to me for making “the ultimate cheese platter.” The selection included a full range of flavors and textures: soft, hard, mild, pungent, cow, goat, young, and aged. If you go out and buy these same cheeses, I know you’ll be extremely happy. But there are hundreds of other great cheeses out there, too. I’m lucky to have some extremely creative friends who were excited to spend a day with me arranging cheese. 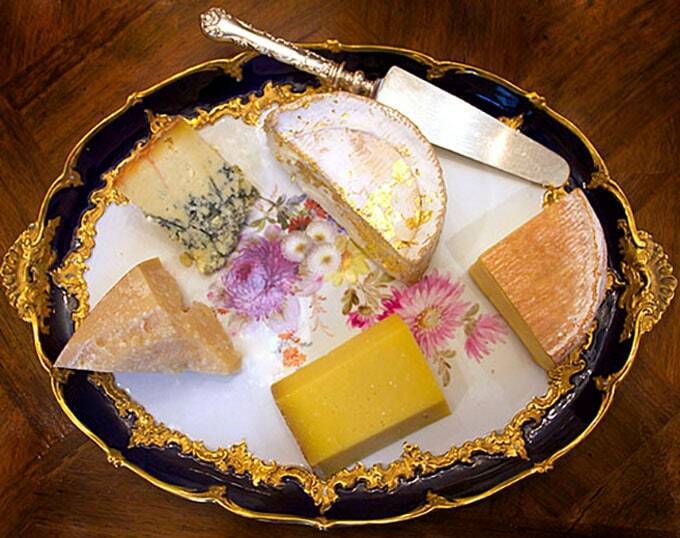 They came up with gorgeous and fabulously fun cheese plates! 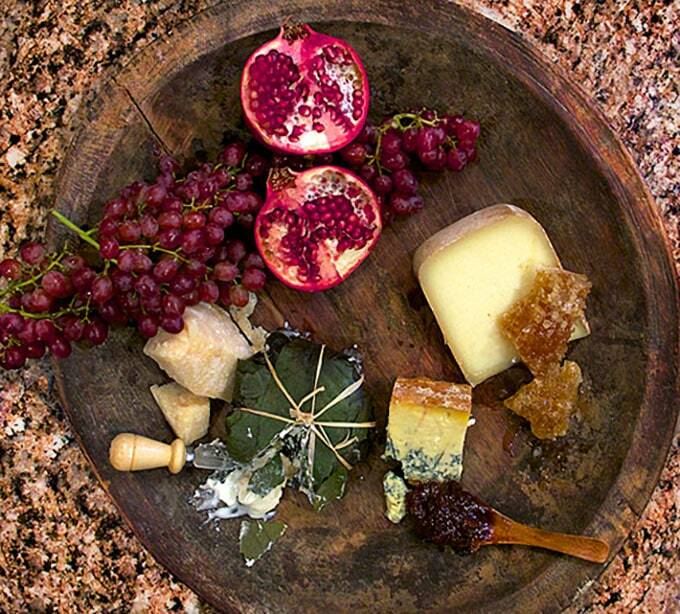 This rustic cheese platter – designed by my friend Pam – is created on a beautifully weathered shallow wooden bowl. 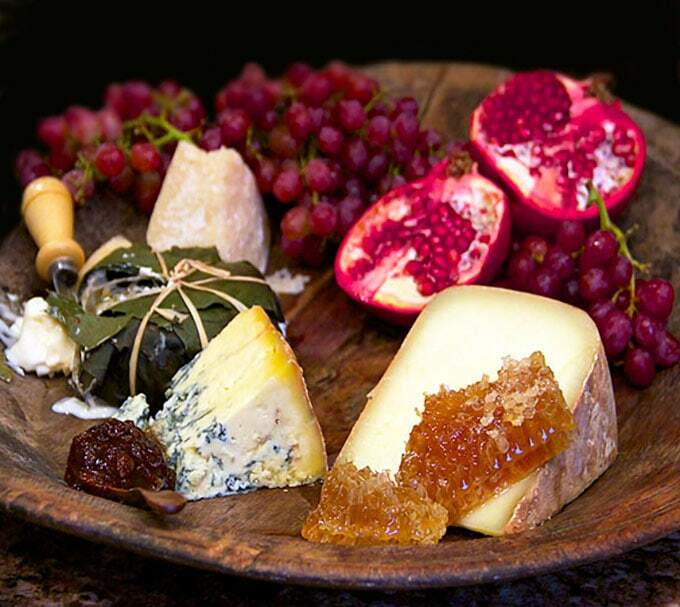 She chose four cheeses – very distinct from each other in taste and looks. Accompaniments are rustic and beautiful, like the cheeses and the bowl – a hunk of glistening honeycomb, a heaping spoonful of rich fig jam, a ripe split pomegranate and a large spray of red grapes. 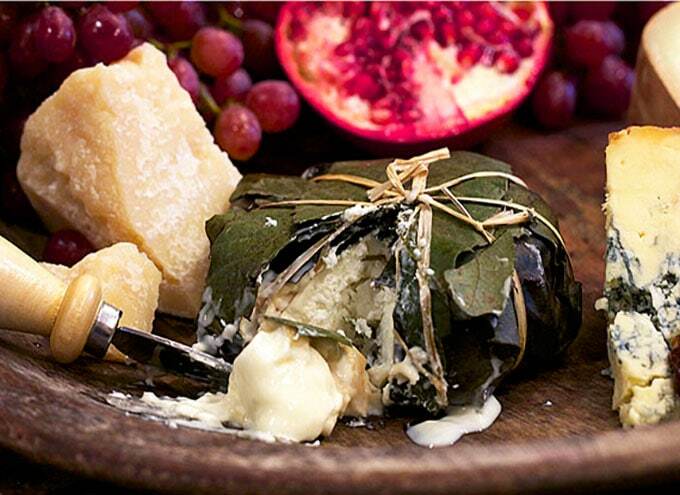 I especially love the Castignino Cheese – wrapped in Chestnut leaves and tied with raffia – for this type of platter! And if you’re lucky enough to have a pig tray, definitely use it for the bread!! After designing the rustic platter my friend Pam started digging through her china to come up with ideas for a fancy/elegant platter. I watched her arranging some cheeses on a lovely gold-rimmed plate. It was so striking that we decided that was the only embellishment the platter needed! 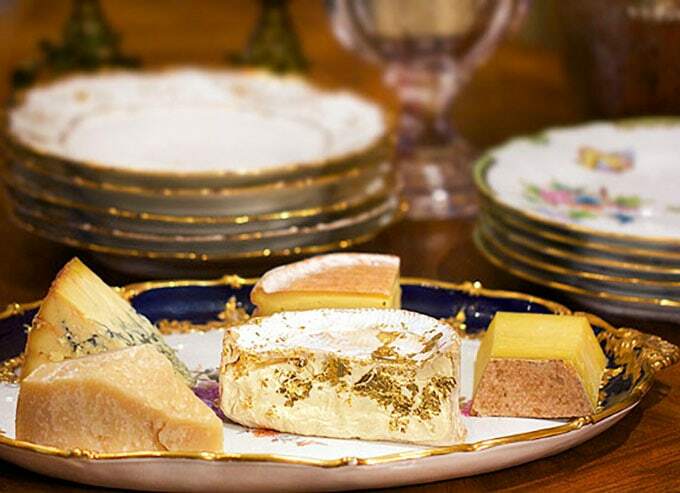 It was simple and elegant and perfect with the gold leafed cheese as the centerpiece, and the gold rim of the dish to frame it. 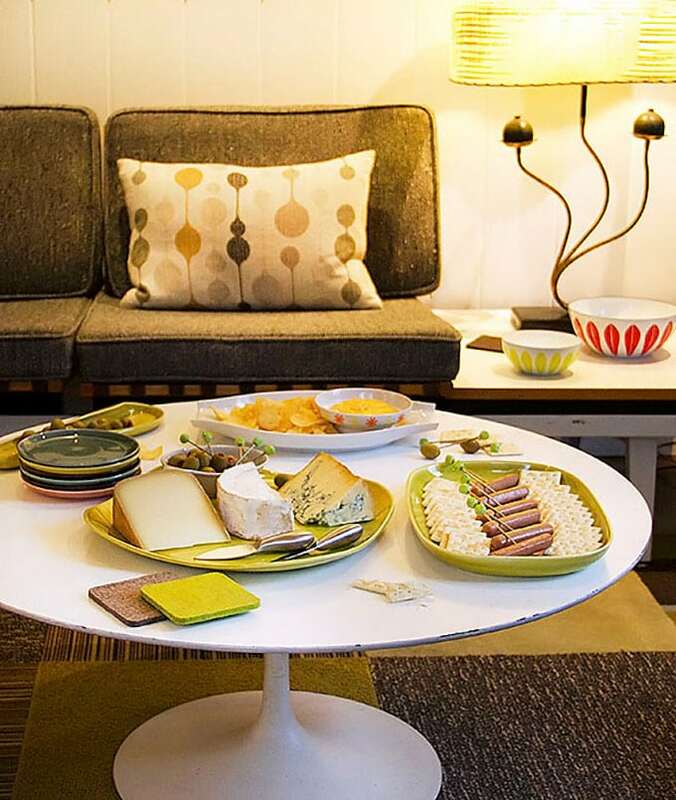 Pam and I went to our friend Carol’s house to create the final platter – the Mid Century Modern Cheese Platter. Carol and her husband Clif are collectors of Mid Century furniture and dishware, so what you see here is the real deal. Pam brought over the green retro cocktail picks. 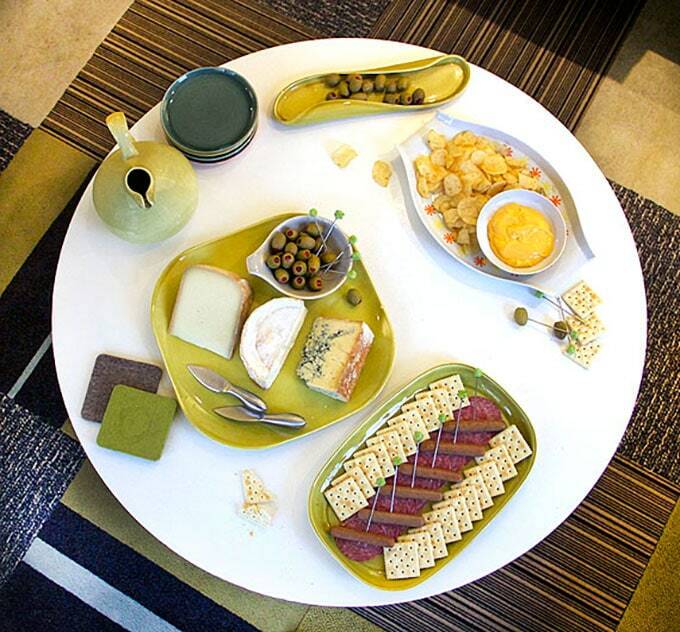 She selected the more geometric shaped cheeses and paired them with colorful olives and (who can resist?) a platter of mini sausages and saltines arranged on top of sliced genoa salami! (pigs in blankets would work well here too!) We also felt that potato chips and cheddar dip was a must! 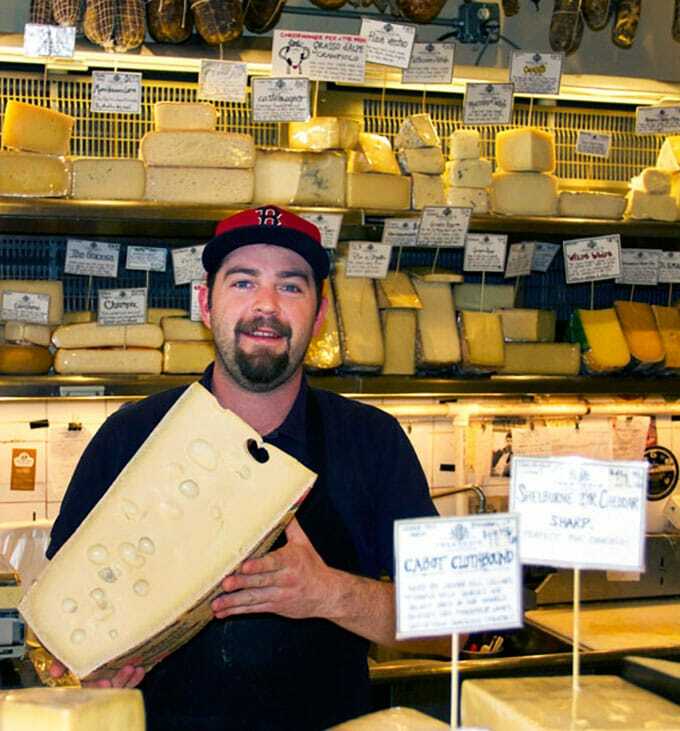 You don’t have to be live in Boston or New York to enjoy cheeses and other specialty food items from Formaggio Kitchen. You can order many of them online. And If you’re still looking for a great holiday gift – one of the best selling cheese centric gifts from Formaggio Kitchen is their “Favorites Meat and Cheese Collection.” Formaggio also has a cheese of the month club for hard-core cheese lovers who want a regular supply of incredible cheese. WISHING YOU A HAPPY FESTIVE DELICIOUS HOLIDAY! I love this post. I love setting what I mundanely call ‘setting a nice table’. Up the ante on the specialness of the meal. It amazes me how little it’s done. The gold leaf on the cheese—I would have NEVER thought of that. The whole presentation was staged both dramatically and effectively. 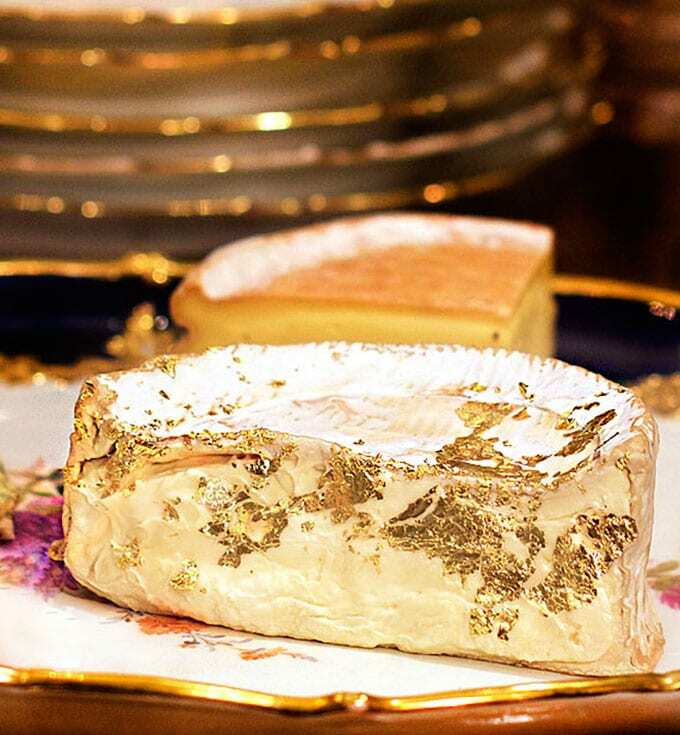 Oh, I do love the idea of using gold leaf on a cheese – so pretty. Great post – thanks Lisa and have a Merry Christmas.